Gladstone clubs Wallaby's and Calliope Roosters will join the Rockhampton Rugby League reserves competition in 2017. It means that the number of teams in the RRL reserves competition will increase to 12 with the inclusion of Emu Park. It means the Gladstone Rugby League men's competition will be no longer following the folding of Rebels and Dawson Valley. The GRL Women's Intercity competition will be unaffected. Queensland Rugby League operations manager for the Gladstone region Peter White and RRL president Mick Johns confirmed the news this afternoon. "I don't see it as a negative at all because the Wallaby's and calliope Roosters will play in a 12-team competition and not play against the same team every two or three weeks,” White said. Wallaby's and Calliope Roosters played off in what was one of the great GRL grand finals where the Roosters prevailed. A step up in quality of competition can only auger well for the game in Gladstone. "We are grateful that the RRL has accepted both teams and it's not new and not the first time that the competition has gone this way,” White said. He also had a discussion with Calliope Roosters president Gavin Nicholas and is understood to be "absolutely happy” with the outcome. And Wallaby's president Darren Martin was relieved. "At least we now know where we are playing and we can now keep going forward,” Martin said. 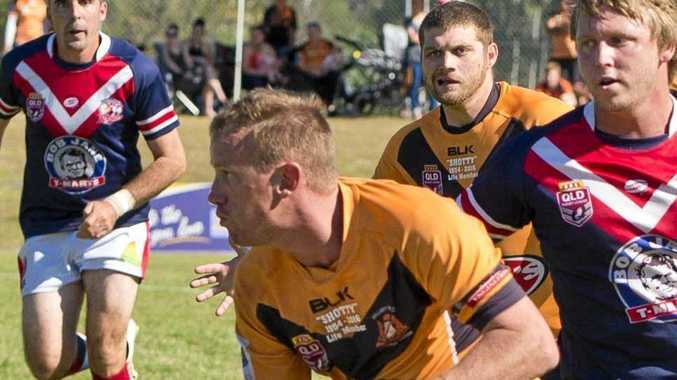 Wallaby's and Roosters join fellow Gladstone teams Brothers, Tannum Sands Seagulls and Valleys. The changes come on the back of Northern District Rugby League clubs Agnes Water Marlins and Miriam Vale Magpies becoming one team but to remain as two clubs next season.